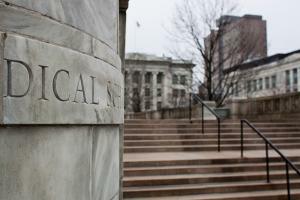 Despite what you may have heard… going to medical school for the money is not a good idea. There is a simplicity to the idea behind going to medical school for the money. In fact, medical school graduates do make a lot of money but that means about as much as saying professional athletes make a lot of money (or lottery winners make a lot of money.) You won’t see too many people recommending professional football careers to prospective high schoolers but some people still get the wise idea that going to medical school for the money is a good idea. There are some seriously important reasons you shouldn’t be going to medical school for the money. Yes… You will be getting a good wage if you end up graduating from medical school. That being said, you could make similar money becoming a professional plumber. You could make similar money deep sea fishing. You could make dramatically more money in many other fields. That being said, in medical school, you need to invest nearly a decade of your life and maybe even hundreds of thousands of dollars. Medical school is insanely expensive. The amount of debt that some students are required to build is almost impossible to pay off without a huge salary. When you account for debt payments after graduation, many medical school graduates end up living just about as well as teaching graduates in the medium term. When the debt finally gets paid off, they may be making more but they end up making this money after decades of making less than many other graduates. Overall, they can be down for decades trying to catch up with this lost time. Instead of going to medical school for the money, you might prefer to go into working on an oil rig for the money or perhaps panning for gold in Alaska. It’s a good paying job for people without connections but there is usually a smarter approach to making a buck. Notice how I compared medical school to working on an oil rig or deep sea fishing. I did that intentionally. Medical careers aren’t even close to safe careers. Sure, people may die less often than deep sea fishing but medical careers come with life and death risks that need to be accounted for in calculations. Most people dramatically underestimate the severity of these risks. Medical careers come with the risk of exposure to virtually every serious disease that exists. These risks are mitigated reasonably well but it’s absolutely impossible to account for all of them. People that spend 40 (more like 50) hours a week working with sick people are putting their lives in danger of catching the unpredictable problems that inevitably come up. If you’re considering medical school for the money then make sure to consider all of the risky potential careers you can imagine. Professional wrestling perhaps? As soon as you go to medical school for the money you’re admitting that you’re willing to sacrifice nearly (more likely over) a decade of your life in exchange for a small increase in the amount of money you’re going to make. There are good reasons to go to medical school. Some people dreamed of being a doctor since they were a child. Some love the challenge. Thinking that you can ever sacrifice a decade of (the best years of) your life and end up with a good return on your investment is not logical. Time is the most valuable asset you have. If you’re going to be doing something for the money then it should at least be something that doesn’t require to commit decades just to break even. If it does then it should end up paying dramatically better than a medical degree does. The problem here isn’t necessarily that picking medicine for the money is a bad idea. The problem is picking any career only for the money. There are high paying jobs for virtually any preference in the world. Sure, you may not wake up every morning dying to get to them but they can keep you at least a little curious. That curiosity is what makes any job worth doing. If you’re picking anything for the money then you can easily lose sight of the parts that are really important. When you’re thinking about return on investment for any career path, you can’t just look at the successes. It’s easy to look at the money doctors are making and assume that’s what you would end up making if you went to medical school. It’s not that simple though. You also have to consider the percentage of people that tried to get through medical school but didn’t cut it. A large percentage of medical students find out that they’re not cut out to be doctors after years of preparing for it. When they do decide to cut their losses and hope for the best, their student loans don’t magically disappear. Suddenly they’re forced to fight years longer (building more debt) to actually get a degree for a job they’re not well-suited for or they need to pay off insane amounts of student loan debt with a job that doesn’t pay to account for that. When you’re considering any career path you need to look at the successes and the failures. Sure, you may like to think you’re the exception to the average but when you’re making such an important life decision, that’s a very risky thought to get caught up in. Medical school has a graveyard of failures every single semester. Considering how much time needs to get invested in this schooling, it’s much bigger than average. Don’t lose sight of that when thinking about medical school for the money. Going to medical school doesn’t pay. Surviving medical school… and later medical training… pays. 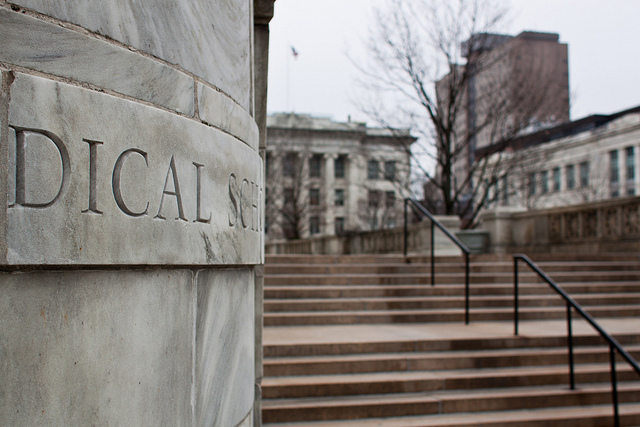 Medical schools are loaded with many of the world’s smartest students. They’re ultra-competitive. Heck, many students going to medical school have more interest in getting good grades to impress their family than interest in an actual medical job. When a smart person doesn’t know which direction they want to go, medical school is a top choice. It’s super competitive. Once you graduate, this is going to be your field of competition. Compare that to most other fields. If you’re smart enough to make it into medical school then, odds are, you’re going to be significantly more competitive in a less competitive field. Instead of being the small fish in the school of big fish like the medical field, you’ll be the big fish in a school of small fish. This is an unbelievably important difference. When you graduate from medical school you’re going to be lucky to get the average salary coming out of medical school. If you’re coming out of a less competitive field then you’re significantly more likely to compete for a higher than average salary for your entry level job. If you pick your career right, you can be making nearly what a medical graduate is making after graduation. If you do well in your job then by the time the medical student is graduating, you can be making what a medical graduate would be making half-way through their career. Part of picking a job for the money is not jumping into the pond with the most sharks. Don’t go to medical school for the money. Do you want to know how to study in less than 15 minutes a night? That’s what this blog is all about. Be sure to follow and check out the archives for all the details. Also, be sure to check out the ebooks in the side bar for even more tricks to better grades in less time. Most of my relatives are doctors of one kind or another, but there is one thing they’ve all learned; don’t become a doctor unless you really want to. I absolutely agree, med school is no joke, you deal with a lot of stress and a vast course, by the end of it you don’t want to learn that you wasted a decade of your life and don’t like your (extremely challenging) job. It is a great career, but only if you genuinely want it. Whenever I find people doing jobs just for the sake of money it makes me cringe. I think medical school is great for those who love to help people and have a passion for medicine and such, but for someone like me, I could never do such a difficult and tiring job (same with law). I always believe passion comes before money, and I would hope that many people will start believing that soon too. No, I don’t think it is a good idea to spend time working on an LPN edaiutcon if your goal is to get your RN. Don’t spend the money and don’t spend the time on getting your LPN. 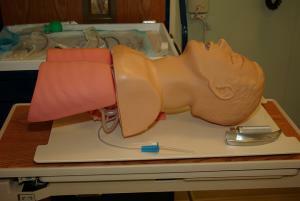 Go for your RN degree directly getting your Associate’s degree in Nursing (2 yr degree) to become a RN is a great idea. (and wont take you much more time then the LPN degree would be but will get you much further) Then, working as a RN, you can contine your edaiutcon (paid for by your employer hopefully) to get your BSN.While you are in nursing school, you can start working as a nursing assistant or a nurse extern to get extra money. You’ll qualify for those positions after going through your first couple of clinical nursing courses. 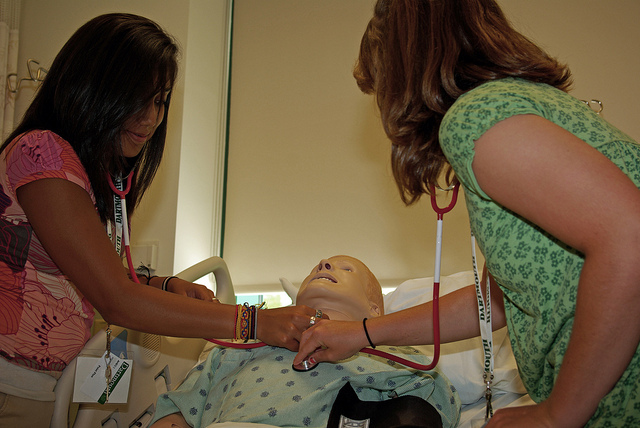 You will find that you can most likely be employed in nursing homes, homecare agencies as well as hospitals as a RN nursing student.Good luck! Picking medical school only for the money is kind of misguided, but at the same time, if you are so passionate to succeed it’s possible to pull it off. Of course, like WillowRiver said, it’s much more emotionally and physically demanding than most people expect. At the same time, if a person does manage to pull it off, being a doctor is still a substantial pay raise from the average worker. Despite high student loan debt, if you make it as a doctor, it shouldn’t be that difficult to pay it off. Of course, people in it just for the money are likely competing with those with an actual passion to help others. WillowRiver, you hit the nail right on the head. To become a Doctor or other medical professional has to be a true calling to help people — you can’t just consider it like any other career path. When I was in high school, I met too many ambitious biology students who were determined to become Doctors, despite lacking the intense, burning desire to help others. Is it right to criticize them for this? Not really — and I’m also aware that certainly some of the students I knew grew up to fulfill these dreams (I attended a prestigious, competitive high school). That being said, it’s hard to put in words just how dedicated one has to be to go into medicine. A perfect mixture of goodness, incredible intelligence, and ruthless discipline is required. Not everyone has what it takes. No one should pick medicine purely for the money. You should pick medicine because you have a passion for helping people or have an interest in the human body. And you should possess the intelligence, aptitude and emotional ability to handle the demands of the career. My Grandma was a nurse. She loved the job – being able to help people, the challenge of medical operations – but it consumed most of her time. She was barely able to take care of my mum and her sister. I agree that someone who’s not cut out for working as a doctor shouldn’t even try. Even if they make it, they’ll be terrible doctors. I sure wouldn’t want to go see a doctor who became one just for the money! It explains why so many doctors treat patients badly – they wish they didn’t have to deal with them at all. Here it’s much more popular to go to the law school in hopes of gaining money. Another choice I could never willingly make – I would die out of boredom first.